In 2002, the first celebrations took place and a worldwide movement was born. In 2006, the day became a week beginning on April 15, Leonardo da Vinci’s birthday. 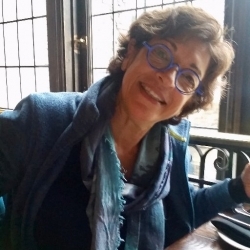 Segal, who took classes with creativity gurus Ruth B. Noller and Sid J. Parnes while earning a minor in creative studies as part of her undergraduate studies, has gone on to become an author and expert on creativity. 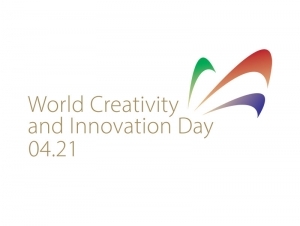 World Creativity and Innovation Week invites everyone to submit an “act of creativity” like those that took place last year. All submissions will be uploaded following the reading of the U.N. resolution to include World Creativity and Innovation Day among its Days of Observance. You can watch the resolution live on webtv.un.org at 10:00 a.m. on April 28.